China high pressure diaphragm filter press is very effective, to provide all kinds of advantages. 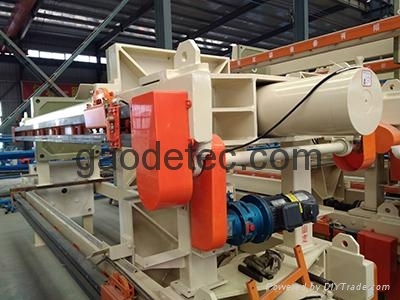 GAODETEC membrane filter press adopts the most advanced technology of TPE film for sale, so to ensure the stable performance, long service life, widely used in various industries. Using the membrane filter press in China is not can reduce the filter cake moisture, and reduce filtration cycle and improve the cake washing. Now we sell, membrane filter press any interested, please contact us: info@gaodetec.com.